Mission for Vision is now launching into the establishment of vision centres which involves training local people to carry out just the basics. Much of the training will be carried out over the internet and so we have put a few videos together which can be referred to by the centres which have access to the internet. 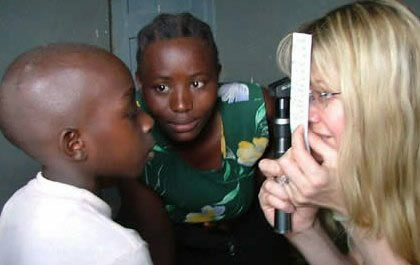 This manual has been designed to equip eye care workers to provide basic but good and essential primary eye care services to their own communities in the remote regions of the developing world.